ERGO-FLEX Technologies has developed a revolutionary piece of equipment that provides safe and effective knee decompression. The KNEE ON TRAC system offers benefits for those suffering with chronic knee pain due to osteoarthritis, previous injury, failed surgery and more. Studies show that mechanical traction is more effective at decreasing pain and improving quality of life than ultrasound and exercise combined. With chronic knee pain affecting the steps you take on a daily basis, improving quality of life is of utmost importance. We use a combination of the MR4 Cold Laser as well as the KNEE ON TRAC decompression with astounding results. Nothing even comes close. 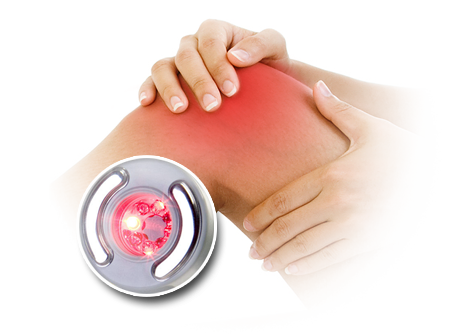 Multi Radiance Medical Super Pulsed Laser devices are dynamic pain relief solutions. An 88% positive effect was demonstrated in studies done on the efficacy of Multi Radiance Medical technology in relieving pain caused by arthritis of small and medium joints. The clinical study involved 140 participants. There are dozens of additional clinical studies and papers available for your review in our clinical studies page; over 4,000 studies have been conducted worldwide to validate the effectiveness of Low Level Lasers.